Since its creation in 1985, the Manger Santé Bio Association (in English “Association of Healthy and Organic Eating”) has aimed to guide us towards a healthier and more ecological diet. Through conferences, publications, tasty recipes and events, the group uses an accessible and original approach to inform us. 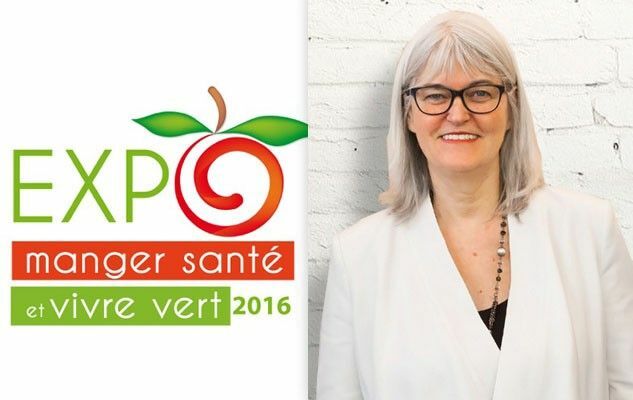 This is unsurprising once we take a closer look at the background of Renée Frappier, co-founder of the Manger Santé Bio Association and organizer of the Expo Manger Santé et Vivre Vert (which translated into English means “Eating Healthy and Living Green Fair”). You’re an author and professor in natural foods. What is your professional background? 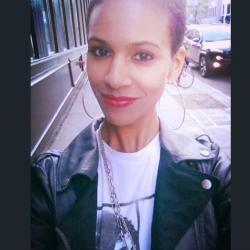 I started my career as a secondary school chemistry teacher in my early twenties. I often say, “With time, the measuring cup replaced the beaker!” Later on, I left secondary school teaching and turned to adult education by giving courses in vegetarian cooking. In the meantime, I’d moved from the city to the countryside. We had a large garden, a greenhouse for growing vegetables… it was hands on learning. I was very interested in the development of food and natural product cooperatives. How did I develop all this? Through education! Where did the idea of founding the Manger Santé Bio Association come from? In 1985, I founded the Association des personnes ressources en alimentation saine du Québec (APRAS) (in English “Association of diet experts in Quebec”) . In the beginning, I used to join around a hundred people in Quebec who were vegetarian cookery instructors. We were quite well organized for that time! That’s why we called ourselves “experts”. In 2000, we decided to call ourselves Manger Santé Bio to include more people so that those who do not consider themselves an “expert” didn’t feel excluded. Today, the Manger Santé Bio Association brings together members from all over Quebec. The common thread in all this is really education. If people don’t eat more tofu or legumes or tempeh, it’s generally because they don’t know how to prepare it. How was the Expo Manger Santé et Vivre Vert born? In 1997, I had the idea of organizing a larger event. There comes a point when you have to say to yourself: I’m going to organize an event for the GENERAL PUBLIC, not simply a day reserved for specialists. At the time, as the Association didn’t yet have a big Executive Board, I organized the event with my company, Éditions Maxam. In the beginning, it took place at the Cégep Maisonneuve, then we moved on to the Montreal Congress Centre. That demands courage, because for the exhibitors, the costs aren’t the same. To start with we had 90 businesses, and today we have 350. It’s more than just a commercial fair. Visitors can ask questions and inform themselves. They aren’t there only to look or taste. With the internet, we have access to a multitude of articles and blog posts related to food; how does the Association distinguish itself? I think our site mangersantebio.org is a reliable resource. Articles and recipes are presented there, and it’s a reference point for plant based organic diets. When one reads information about nutrition online, it’s important to question the source, the person who wrote it, their competencies, but also to remain curious. A credible author is a good thing, but is he/she part of a professional association he/she can’t derogate from? Before studying nutrition at the age of 50, I was a science specialist, but not a nutrition specialist. There are many things I wouldn’t have been able to write if I’d been a nutritionist, due to the regulations related to my profession. I find there’s sometimes a lack of openness from doctors and nutritionists when faced with new developments. Is an improved dialogue with the medical community one of the Manger Santé Bio Association’s objectives? I’m eager for mind-sets to change within training centers. That’s where nutritionists, doctors and agriculturists are trained. If training programs evolved, it would be extraordinary. We continue to work with the community, but we wish to eventually be able to work on a political and institutional level.